On Monday, the UN reported that ten children, part of the same extended family, had been killed by a U.S. air strike in Afghanistan, along with three adult civilians. The air strike early on March 16th was part of a battle between the Taliban and combined Afghan and U.S. forces that lasted about 30 hours in Kunduz, a northern province where the Taliban insurgency is strong. The children and their family had been displaced by fighting elsewhere in the country, the UN Assistance Mission in Afghanistan (UNAMA) said, releasing its preliminary findings about the incident. UNAMA said in a statement that it is verifying that all 13 civilian casualties occurred around the time of the air strike. Three other civilians were wounded. Sgt. Debra Richardson, spokeswoman for the NATO-led Resolute Support mission in Afghanistan, confirmed that U.S. forces carried out an air strike, but she said that the mission still had not confirmed that it had caused civilian casualties. On Tuesday, Egypt’s top media regulator put into effect tighter restrictions that allow the state to block websites and even social media accounts with over 5,000 followers if they are deemed a threat to national security. The move is the latest step by the government of President Abdel-Fattah el-Sissi to suppress dissent. In recent years, Egypt has launched an unprecedented crackdown on reporters and the media, imprisoning dozens and occasionally expelling some foreign journalists. The new regulations, published in the official gazette late Monday, allow the Supreme Media Regulatory Council to block websites and accounts for “fake news,” and impose stiff penalties of up to 250,000 Egyptian pounds ($14,400), all without having to obtain a court order. On Thursday, President Trump declared that the United States recognized Israel’s authority over the long-disputed Golan Heights, seen as an election-eve gift to Prime Minister Benjamin Netanyahu but upending decades of American policy in the Middle East. Trump’s announcement, in a midday Twitter post, came after persistent pressure from Netanyahu, a close political ally who is facing a complicated election on April 9th and who has invoked his friendship with the American president as a prime argument for staying in office. However, though the move was popular in Israel and among some lawmakers in Congress, former diplomats said the action was unnecessary and would embolden other world leaders who seized territory in violation of international norms. The United Nations has rejected Israel’s occupation of the Golan Heights since 1967, when Israeli troops seized the 400 square miles of rocky highlands from Syria during the Arab-Israeli war. 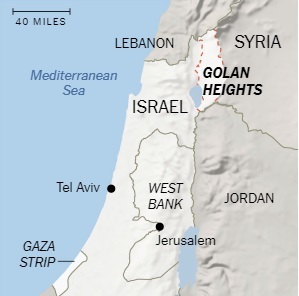 The Golan Heights is not densely populated: according to some estimates, there are around 50,000 people, split between Israeli Jewish settlers and people of Syrian ancestry who are Druze, a religion that has been described as an offshoot of Ismaili Islam. Also on Thursday, in the mostly-Kurdish city of Mosul in northern Iraq, a raft overloaded with people celebrating the Kurdish New Year — known as Nowruz – sank in the Tigris River, drowning at least 94 men, women and children, Iraqi security and health officials said. Families in Mosul had thronged onto the raft to take them to an island with a picnic ground and a small amusement park. As they crossed the Tigris, one of the metal cables pulling the raft snapped, and the raft capsized, dumping almost everyone into the water, according to eyewitness accounts. The water, high and swift because of the spring rains, swept them downstream in a matter of seconds. Iraq’s prime minister, Adil Abdul Mehdi, declared three days of mourning and flew to Mosul to pay respects to those who had lost family members. The Iraqi Parliament is opening an investigation. On Friday, while on an official visit to Lebanon, U.S. Secretary of State Mike Pompeo gave a 7-minute speech that emphasized the Trump administration’s intention to weaken Hezbollah, which the United States considers a terrorist group, for its “criminal activities and terrorist network.” In the address, Pompeo said, “Lebanon faces a choice; bravely move forward as an independent and proud nation or allow the dark ambitions of Iran and Hezbollah to dictate your future.” In October, the United States designated Hezbollah a transnational crime threat, alleging that the group’s network spans across West Africa and South America and is involved in money laundering, drug trafficking and terrorism. Trump has reversed his predecessor Barack Obama’s Middle East policy, abandoning the much-hailed 2015 nuclear deal with Iran and reimposing sanctions. The U.S. has since imposed additional sanctions on Hezbollah — supported by Iran — as well. Gebran Bassil, Lebanon’s foreign minister, responded by reaffirming that Hezbollah is not a terrorist organisation, has a large support base and is part of Lebanon’s national unity government. 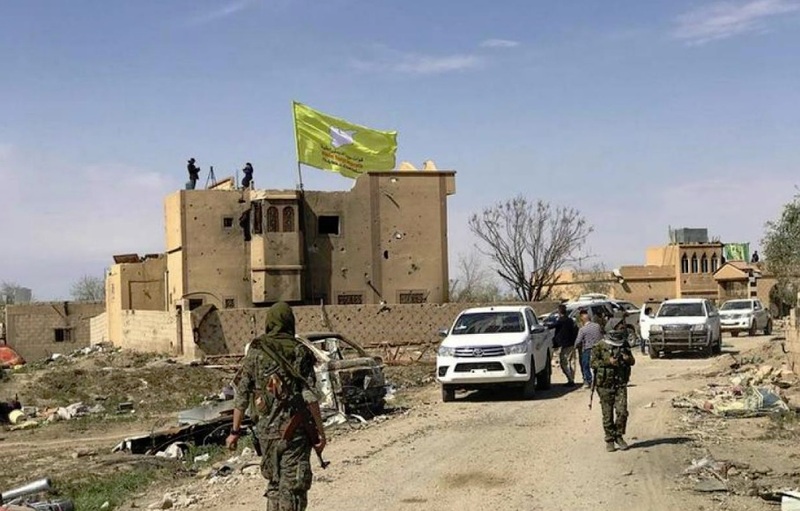 Both the White House and the American-backed Syrian Democratic Forces declared that the Islamic State had been defeated after the last remaining IS fighters were routed from the small village of Baghouz on Saturday. Speaking to reporters aboard Air Force One, White House press secretary Sarah Sanders said the group’s “territorial caliphate has been eliminated in Syria.” This was the third time the White House had made such the claim, after President Trump previously said that IS had been defeated in December 2018 and last month. 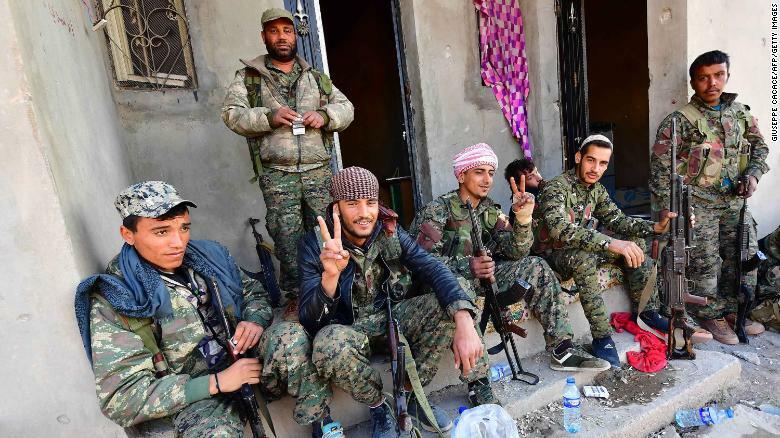 The head of the SDF press office, Mustafa Bali, tweeted, “Syrian Democratic Forces declare total elimination of so-called caliphate and 100% territorial defeat of ISIS. On this unique day, we commemorate thousands of martyrs whose efforts made the victory possible.” Meanwhile, the spokesman for the SDF offered a more sober take on the occasion, nothing that though “This is a big moment not just for us, but for all of the world … we cannot say that ISIS is finished. It is true that they are finished on the ground as a standing army. But the ISIS threat remains around the globe.” Originally an offshoot of Al Qaeda, IS took large swathes of Iraq and Syria from 2014, imposing a reign of terror with public beheadings and attacks by supporters abroad. The Pentagon plans to keep at least 400 troops in Syria to help the SDF and other allies maintain security in former Islamic State strongholds.